Station has been much reduced since the early 1970s. It now has only two platform faces in use. All the buildings have been demolished and replaced with a bus shelter. Notes: Chinley’s 2nd Station opened on the 1st June 1902 and was situated on the Midland Railway’s (MR) main line route from Manchester Central to Ambergate and the associated line to Sheffield which had opened in 1894 and which joined the Ambergate line a mile to the east of Chinley. The line through Chinley had opened in 1867 and the village had been provided with a station which was located a little further to the east than the 1902 station. By the last years of the 19th Century the line through Chinley was carrying so much traffic that congestion was becoming a problem. In addition the MR had gained an act to build a new direct line from New Mills, a few miles west of Chinley, to Heaton Mersey. This new line would speed up main line services thereby making them more competitive against the MRs rivals. one. They opted for the latter course of action. On the 20th September 1900 the MR board agreed a design for the new Chinley Station and a contract was awarded to Messrs Wickenson & Hardy for its construction. Whilst work progressed on the widening of the main line and the building of the new station the original Chinley Station remained open. By May 1902 the station was mostly complete and it opened to passenger services on the 1st June. The original station closed on the same day. 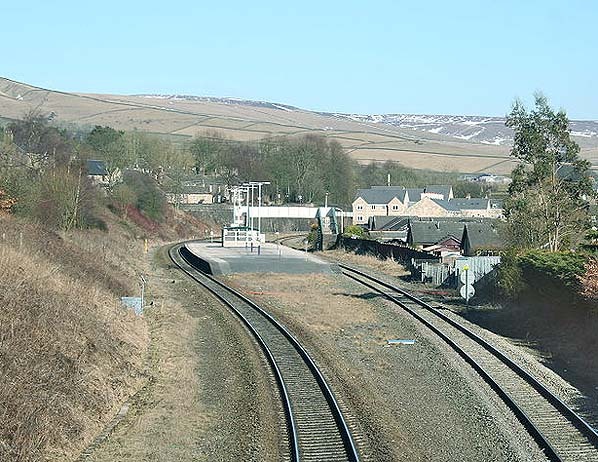 Chinley’s second station was provided with five through platform faces four of which were situated on two island platforms. From north to south the island platform faces were numbered 2, 4, 5 and 6. The other platform face, numbered platform 1, was located on the northernmost platform which had a cutting bank behind it. On the northernmost island platform at its eastern end a bay platform was provided for the use of local services, it was numbered as platform 3.
an important interchange point refreshment rooms were also provided. 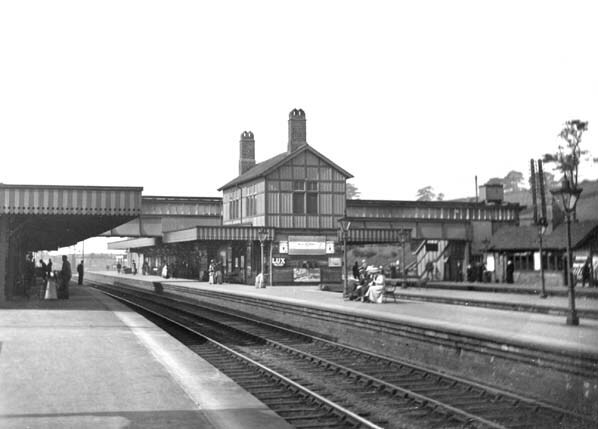 The southern platform was provided with a single storey timber built building also with canopies. 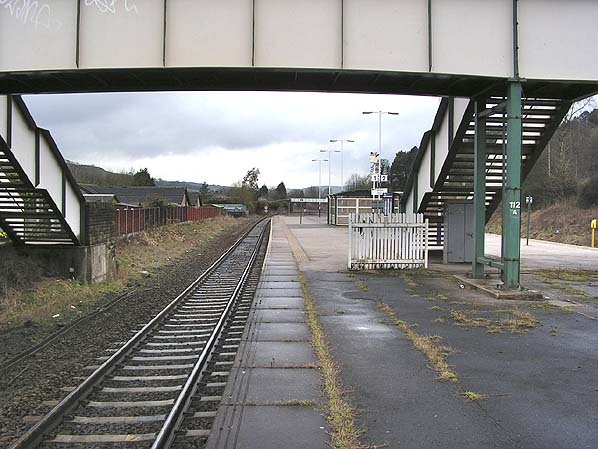 The platforms were all linked together by a covered step bridge that also provided the main way into the station as it continued beyond the platforms to the southern side of the line. North Junction. On the south side of the line at the west end of the station a further signal box, called Chinley Station South Junction, controlled movements into and out of the goods yard. From the day of opening nearly all of the trains passing through Chinley were scheduled to stop at the station. They included main line services to Buxton, Liverpool Central, Manchester Central, Manchester Victoria, Derby, Nottingham Midland, London St Pancras and Sheffield. On some occasions there were 3-way splits with portions from and to Manchester Central, Liverpool Central, and Manchester Victoria (in fact, 4 Down services split 3-ways in the summer of 1904). 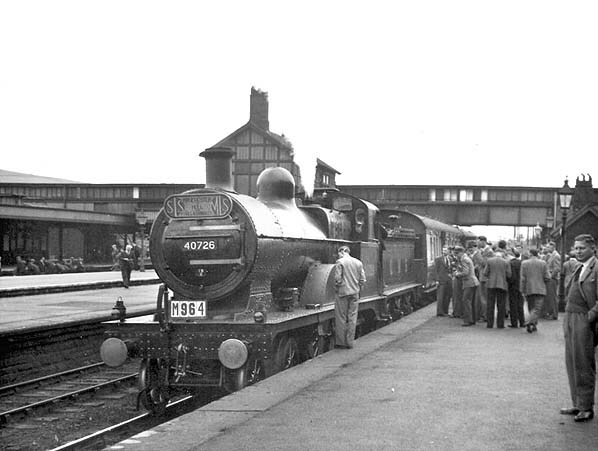 Some of the Manchester Victoria services also conveyed through carriages from and to Blackburn. Again, in 1904 there were 5 southbound trains with through carriages from Blackburn via Manchester Victoria, while one also conveyed through carriages from Blackpool. were added to or taken off London to Manchester Central services. On the 5th January 1904 there was an accident at Chinley Station at 17:38 when the 17:15 service from Buxton crashed into the rear of a stationary mineral train. Thankfully there were no fatalities. The enquiry that followed was critical of the signalling arrangements and so the MR made alterations in 1905. By the early 1920s Chinley Station was being served by 33 trains travelling in the Manchester direction and 35 heading either south towards Derby and beyond or east towards Sheffield. In 1922 67,000 passengers bought tickets at Chinley. 24 Manchester direction trains and 22 south or eastbound services. After the war traffic levels were slow to build back and would never reach levels that they had reached during the 1930s. 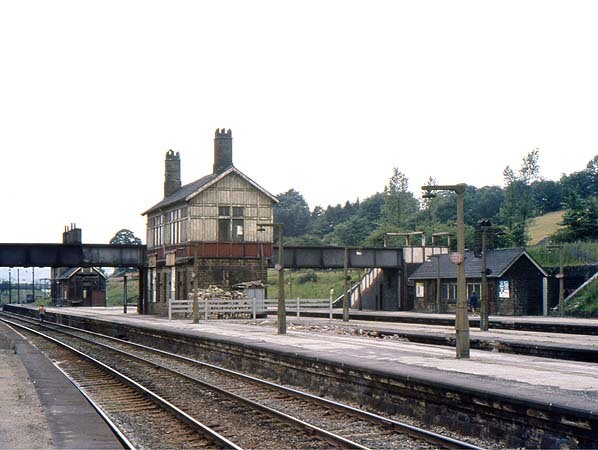 In January 1948 Chinley Station became part of the nationalised British Railways (London Midland Region). Chinley became increasingly attractive as a place to live for Manchester based businessmen who could easily commute by train. Because of this extra commuter services were run. Competition from road transport began to take effect but even in 1965 passenger ticket sales were 25,468. By this time less express services were calling at Chinley but there were still four trains per weekday to London and five from the capital. In 1967 Chinley was served by 26 services running towards Manchester and 25 in the other direction. 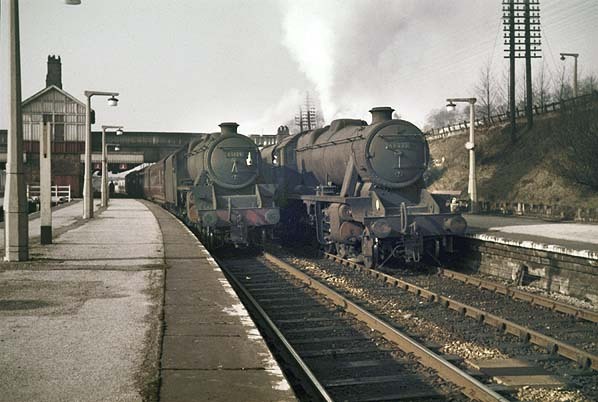 The year 1967 was to be quite significant for Chinley as on the 6th of March of that year passenger services that served the stations between Chinley, Buxton and Matlock were withdrawn and all of the intermediate stations closed. London St. Pancras services were diverted from Manchester Central to Manchester Piccadilly on 1st January 1968. London express services were diverted from the Ambergate route on 1st July 1968 via the 1894 Hope Valley line and the south curve at Dore and at a later date routed into Sheffield. Manchester to London St Pancras services had ceased altogether by the end of the 1970s. at Chinley whilst hauling ‘The Merseyside Express’ enthusiasts special on the Guide Bridge to York via Sheffield leg of its journey. The train stopped at the former platform 4. In the early 1980s the four track section of line through Chinley Station was reduced to two lines. Only the former platforms 2 and 4 on the northernmost island platform remained in use. On the 9th March 1986, eighty two years after the first crash, the 17:30 Sheffield to Manchester express collided head on with two light engines at almost the same spot as the 1904 crash. Sadly the driver of the express was killed and thirty one passengers were injured, two of them seriously. There was also a crash at Chinley in 1958, the full report can be seen here. peak passenger service from the station is one train every two hours to Sheffield and one to Manchester Piccadilly. This is increased on Saturdays and at peak times to one train per hour in each direction. Occasionally express trains between Sheffield and Manchester Piccadilly (operated by First Transpennine Express and East Midlands Trains) stop at Chinley. Tickets Michael Stewart except 6616 & 7258 Glynn Waite, route map drawn by Alan Young. Additional source Glynn Waite. 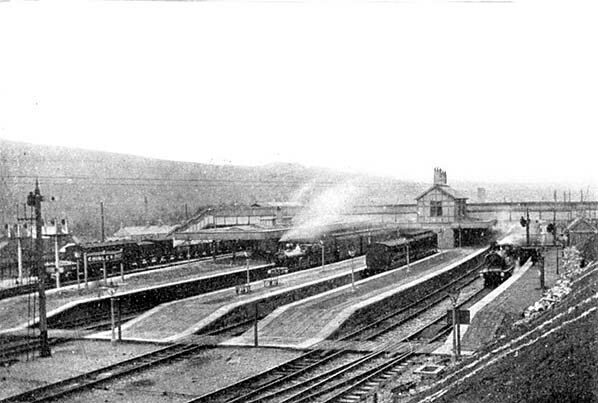 Looking west at Chinley's second station shortly after it had opened. Chinley's 2nd Station looking towards the west before December 1906. The picture illustrates just how busy Chinley was in the early part of the 20th century. 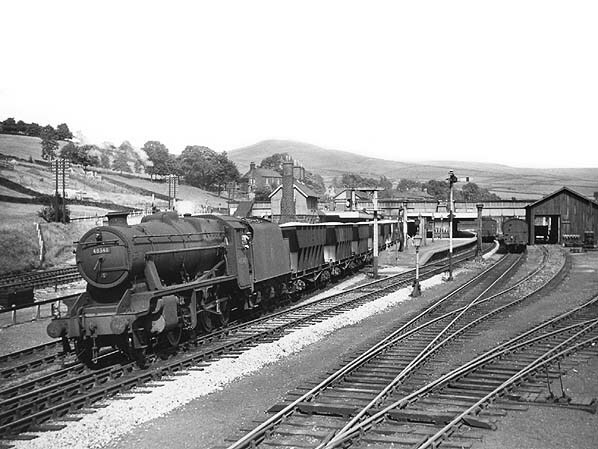 A train conveying limestone heads west through Chinley's second station in 1951. The train had probably originated from Peak Forest and may have been travelling to Northwich. 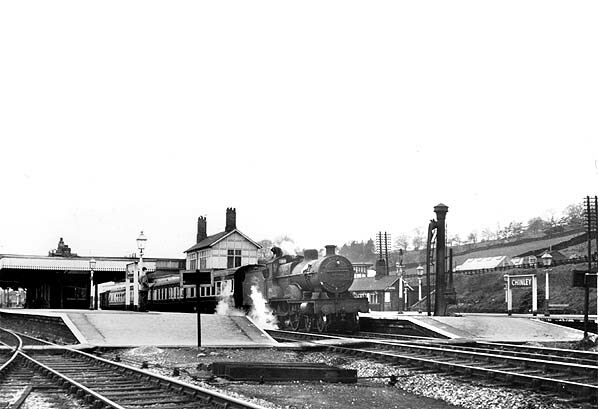 Looking northwest from the eastern end of Chinley's 2nd Station in April 1957. A local service has stopped at one of the stations through platforms. 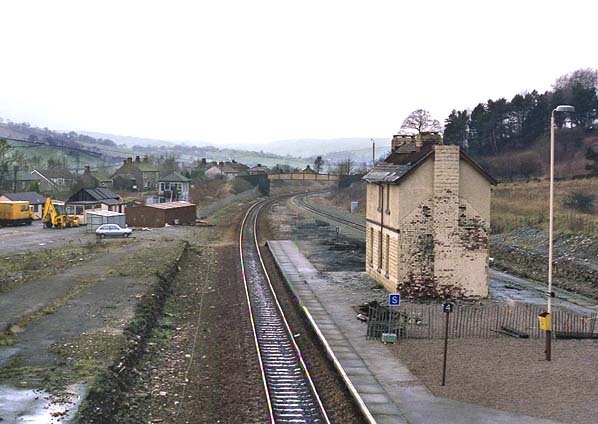 Looking west at Chinley's second station in the mid 1960s. A Stanier Black 5 number 45139 calls at the station with a local service. A Stanier 8F number 48275 is seen in platform 1 hauling a goods train. bay platform had lost its track. Looking west from the footbridge at Chinley's second station in 1990. The picture illustrates clearly the rundown in the station's fortunes. Only two tracks remained by this date where previously there had been four. Also there had been extensive sidings on the left of the picture. Photo by David Dunford, reproduced from Wikipedia under Creative Commons Licence. Looking west along the only surviving platform at Chinley's 2nd station in April 2010. This once large interchange station has been reduced to a simple unstaffed halt. There had been another island platform to the left of the picture in the area that is now occupied by housing.